Inequalities lie at both ends of the equation of the crisis. Inequality is unsustainable in many ways: it puts in danger the cohesion of our societies and it is a driving force of our unsustainable consumption model. In this interview with Jean Lambert MEP and Romual Jagodzinski from the ETUI, which recently released a major report entitled ‘Benchmarking Working Europe’ on inequality, the GEJ discusses how austerity is causing people to lose faith in the EU, and how a new model is needed. 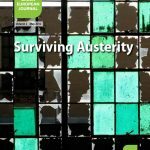 Green European Journal: Why does ETUI stress so much the importance of inequality? Romual Jagodzinski: The first benchmarking report of the ETUI was a reaction to the employers’ organisation report on the Lisbon strategy issued in 2001. Since 2008 we decided each year to select a specific theme. This year we took up inequality as a multidimensional phenomenon rising all across Europe. Inequalities are not only important to trade unions, they are important to societies at large. If they grow, the solidarity spirit that is a pillar of the European Union is endangered. People on the streets in Greece, Portugal and Spain are not only protesting against austerity, they are protesting against inequalities as well. They are infuriated with the fact that they are the ones paying the price, while those who triggered the crisis are better off and benefited from it[A1] . This feeling of injustice is not only growing within the countries, it’s growing between the countries with the result that the nationalist and protectionist sentiments are on the rise. “It’s us versus the rest”. “We have a cake that we no longer share, but that we just need to grab as much as possible for us”… This kind of reaction endangers the European project. Although Art 3 of the Treaty on the European Union mentions a number of aspects that have to do with inequality (social protection, justice and progress), the Eurobarometer  research and other polls clearly point out that these values are no longer perceived by the European population as the ones being pursued in the European Union. Europe is more and more seen, sorry for the strong words, as the oppressor that imposes austerity, that fosters the liberalisation of markets, of labour laws, under the aegis of standardisation and that exposes people to greater risks, to greater inequalities and poverty. What are the key findings of the report that illustrate this perception? RJ: The first important finding is that economic inequalities between the new and old Member States are no longer diminishing. This was a driver for many of the new Member States to join the EU with the prospect of improving their living standards, of catching up with the richer countries. That was the driver motivating many of them to join, a driver that is no longer there since the convergence is no longer there: the GDP growth in the old Member States is admittedly lower than in the new Member States, who are starting from a low base compared to the other Member States. But the low GDP growth levels generated in the NMS are nowhere near the target they would need to be in order the catch up with “old Europe”. So in many countries you have questions being asked – why do we need to pay the price of joining the Eurozone, of accepting the opening of the markets, the liberalisation of services if there is no reward for us for this in the long term ? Furthermore, on the labour market, there are clearly defined groups that are much worse off than others. The situation of women, for instance in unemployment, has seemed to improve in relative terms. But this is not due to the improvement in their employment rate; it is mainly because the situation among men has deteriorated slightly more during the crisis. Moreover women are more exposed to working on part-time basis than men do and, in general, the employment rate of women is still below the employment rate of men. The situation of the youth is more and more worrying: we have levels of youth unemployment hitting 45% in Spain, about 40% in Greece, around 30% in the Baltic States. These young people are really facing unequal challenges compared to other groups on the labour market. It clearly puts some doubt whether the education targets set in the Europe 2020 Strategy are really saving young graduates from unemployment by expecting them to acquire higher and higher educational attainments and competences without offering the rewarding prospect of decent employment. Admittedly, in the majority of countries the low-skilled graduates are much more exposed to unemployment and working poverty for instance. But there are countries where the unemployment level of the tertiary graduates reaches 25%. Furthermore, collective bargaining and trade union coverage, two factors that we identify to be positively correlated with greater equality, due their strong redistributive effects, are both on the downturn across Europe. The regional discrepancies are also turning into structural inequalities: the gap between the quickly developing, very vibrant urban and the rural regions is growing and exerts significant impact on people’s lives. The opportunities in rural areas are significantly worse than those in urban areas equipped with good infrastructure, with good public services, with good educational infrastructure. Moreover, there is what we call the ‘digital divide’ across European regions, and groups of people being their habitants: urban communities benefit from the digital technology while rural population suffer from deprivation of access to IT-infrastructure, which, in consequence, affect their professional and educational opportunities and prospects. Chapter 8 addresses the inequalities evident in the application of EU labour law. We have European Directives on Labour law and worker representation that are pursued as one common goal for the EU-27, yet they are applied to a very differently across the MS. Of course there is the necessity to ensure some flexibility and to take into consideration the specific industrial relations traditions of individual Member States, however, sometimes these discrepancies amount to inequalities for workers and for other stakeholders as well. Some fundamental rights such as the right to information and consultation suffer from unequal application. Finally, with regard to working conditions, we are facing the rise of a greater ‘presenteeism’. More and more people occur at work even though they are sick because they fear for losing their job. This concerns particularly unskilled or lower skilled workers, as a result, to a certain degree, of liberalising the labour law, where sacking of workers is much easier, causing people to fear for their work, especially in the harsh circumstances of the crisis. Jean Lambert, as a member of the Committee for Social affairs of the European Parliament, how do you react to this diagnosis and first of all to this assumption that rising inequality lies at both ends of the equation of the crisis? Jean Lambert: Part of what has happened with the crisis has been an exaggeration of existing trends for example in the labour market, with this growing division between the unskilled and temporary and the more highly qualified, often more secure jobs. A lot of Member States have not looked at new industries to take the place of the old ones, or at what they were going to do with the skills level of people who were less well trained for this ‘new economy’. On the other hand, there are new elements in the wider unemployment situation, even for those that are skilled, which raises a lot of questions about how the European Union and many Member States have defined ‘skill’. For a long time, they saw this in terms of a University degree and not in terms of needed skills. Certain Member States like the UK have filled a lot of skills gaps with migrant workers and, at the same time, have been quite bad at retaining their own skilled staff. In the migration debate, it’s always about people moving in and it is never about EU nationals moving out. This feeling of betrayal towards Europe has been building since before the crisis. If you look for example at who is elected to the European Parliament in 2009 you already have a number of those parties who are not Eurosceptic but “eurohostile”. And that’s not just on the right. We tend to think of it as a populist right because those are the people that will often articulate the anti-migration side like the Geert Wilders’ party in the Netherlands. But we began also to see another evolution with for example these cases about the right to deliver services cross border and the tensions with the existing labour force that was being voiced by some of the trade unions that were not always very careful about how they expressed this. There are parts of the trade union movement which is actually quite racist itself and anti-foreign worker. We have heard that articulated quite strongly in the discussion about seasonal workers in the European Union. In this debate on freedom of services, a lot of groups, and particularly a lot of trade unions and working people began to see the EU turning from almost a protector of trade unions rights to a threat to organised labour[A2] . And this is something that we have not resolved. The question about posting of workers is back on the agenda this year. The Greens in the European Parliament will have to be very careful how they handle that in a way that shows that the ideals of a social Europe are not dead and that we have not lost out to a total liberalisation of the market. We have been treading quite a careful path in terms of the green group as a whole not being necessarily hostile to the notion of freedom to provide services and the single market, provided that such freedoms come with strong labour protection and strong social standards. Some of us have been very critical in looking at what the effects of freedom of the single market can mean and some are much more pro-single market from the green perspective. But the link that you were mentioning between debt and the crisis has almost gotten lost. The discussion is now focused on national debt without much regard to that quality analysis like the issue of personal indebtedness. And yet when you look at what was happening in individual countries, it was much more a part of the crisis than we now talk about although we are still going to see the increasing fallout from it, even in a number of European countries, which have looked much more stable, and aren’t necessarily. The pursuit of consumerism, materialism, growth at any price is certainly something that the Greens have been critical of the whole way through, because it has really fed on a feeling of inequality, of people wanting to keep up with others and not being able to financially and as a result borrowing heavily. It was obvious that at some point that was going to be a problem. But one of the more positive things, however, is that the issue of inequality is back in the political discussion. The European year of anti-poverty in 2010 gave us an opportunity to discuss a lot of issues around inequality. It is still there but no so much in our Governments. I also want to stress the importance of this feeling of broken promises that is still very much there outside the Eurozone. When we talk about the crisis we are not talking about Hungary, we’re not talking about Latvia, which have horrendous economic problems. We might talk about Hungary’s constitution, but not about its finances in the same way. And if you’re looking at a way of making people feel excluded, that’s a major part of it. Right at the top level of the European Union, the discourse is not inclusive of the 27 countries. The future of the Eurozone is important, even the British Chancellor of the Exchequer thinks it is, but it’s not the only economic debate. How does the ETUI consider the role of European Union in the application of social rights? RJ: One of our concerns is that there are more and more differences in the application of rights across the Member States. For instance, there are shocking examples of countries that allow to create SEs without any workers and without any operations and that activate them once they are established, which basically allows employers to avoid any negotiation on worker participation, information consultation, participation on boards etc… We also have identified problems with regard to the application of the EWC Directive. Some of these problems have been addressed by the recent EWC recast Directive 2009/38/EC, but there remain other issues that raise the question whether the fundamental rights, such as the right to information and consultation, are conditional upon the will of Member States to apply them in a certain way, or whether they should be universal as they are put in the EU Charter of Fundamental Rights. We have also seen the crisis being used as an excuse to exert downward pressure on labour standards. One of the co-authors of Benchmarking, Steffan Clauwert (ETUI) looked at the labour law reforms in the Member States over the past three years, and came to the conclusion that the crisis and austerity have been used as an excuse to further flexibilise labour markets at the cost of security and stability of employment by means of e.g. increasing part-time and temporary work and exposing workers to even greater risks of in-work poverty and of material depravation. I also want to come back on the issue of inequality and on its link with personal indebtedness. What can the European Union achieve in order to tackle this problem and to promote another standard of wellbeing less dependent on consumerism? RJ: I am not an expert on indebtedness, but there are clearly measures to address this problem, such as redistributive policies that have been mostly abandoned in Europe in the recent years. The efficiency of tax systems in addressing inequalities has rather consistently diminished over the last decade across the EU. In Chapter 5 of our report, we insist on differentiating between the top and the bottom inequality. It is not possible to address inequality in an efficient manner if one addresses only the lower end of inequality, that means the material deprivation or in-work poverty. This is only one part of the equation. We also need to address the top end with redistributionary policies. RJ: Directly linked to that is the question about growth: it is important, but do we really need economic growth at any price? Or do we need growth that serves fairer societies? This question has been raised on many instances recently, for example in the excellent book “The Spirit Level” by Kate Picketty and Richard Wilkinson. It is also important to address the question: how do we measure growth? Is the only right indicator the GDP or do we need to seek beyond and refer to alternatives such as the Human Development Index for instance? Or other composite indexes that take into account the well-being of societies and include the non-financial elements as well, like the quality of public services, the access to the health and education systems, the prospect of social mobility, etc. On top of the above mentioned inequalities, there is also an emergence of what we call the “green divide” across Europe resulting from varying levels of emissions and countries’ discrepancies in resource efficiency. For instance, countries that have a high level of resource efficiency are not automatically the lower polluting ones. Some countries are very efficient in using resources, yet they still produce disproportionally high levels of emissions due to their style of life based on consumption of many goods and services requiring significant resources. At the same time applying uniform policies across the Union that are good for the old Member States is not necessarily fair because these old Member States were able to develop their economies in the ‘dirty way’, that is without taking into account the environmental consequences and current limitation they are now expecting the new Member States to play along the new rules that are definitely more challenging. This is a very serious problem that adds up to the new vs. old Member States divide. JL: What you were saying on the sense of solidarity between the older and the newer Member States is linked to this debate on this issue of energy efficiency. They are going to feel the need for that investment. RJ: It is also related to the problem of ‘resource poverty’. There are significant numbers of people experiencing poverty manifesting itself in difficulty in keeping their homes adequately warm during winter because of rising energy prices as well as occurring in growing number of arrears in paying utility bills. It is a relatively new phenomenon that we shouldn’t leave out of the picture. To end with a more positive point, can we say that inequality is again an issue of political debate at European level? JL: I have just come from a meeting with Solidar, a European network of NGOs which is looking at issues of development of social security law. There is a greater awareness that we need to tackle inequality, not just poverty. This is now evident in different bits of the European Commission and in some of the Parliament’s thinking. But it is not enough there at the Member State level. The crisis has led to a number of them to look at what is the fair share of the pain that ought to be taken by the wealthier parts of the economy. It is much easier to talk about bankers in general having their metaphorical haircuts. You are hearing it with what Hollande is saying in the French elections. But in the UK, the highest rate of tax, the 50% tax was considered too high, so it has now been cut to 45%, because ‘you don’t want to scare off the wealthiest people, because then you lose all the tax revenue, rather than just some of it’. Of course this is much more a Member State issue but I am interested in whether the European level is going to be able to start talking about doing something more convergent on corporation tax. But of course, at the other end of the scale, a lot of Member States see the social sector as the obvious place to cut. And, sorry to “state the bleeding obvious” in the UK, if you cut the social security for those at the lowest end of society, you are going to see an increase in poverty, a decrease in personal spending, less money circulating in the economy which becomes totally counterproductive if you wish to keep the baseline of a resilient economy. We are now beginning to see people say that austerity has gone too far. But many of us, particularly the Greens and from many of the other political groups are shocked that people are shocked at the outcome of this. We tried, as a Parliament, to have issues of social conditionality put in in the case of Latvia, and some of the other Baltic States when they were facing very strong pressure. But it was a condition of their bailout that they cut their social security spending. And if the European Union is now people’s enemy in many respects it is partly because of these drastic cuts in some Member States social security spending. Some Member States have used this as an alibi to cut what they wanted to cut anyway: again I could quote the UK, but that is a problem, that is a huge problem, because it also keeps those inequality gaps, because even if you are taxing the richer more, if the poorer are becoming poorer then you’re doing nothing to close that income gap. A lot of the research show that more stable economies, which had better education outcomes, like some of the Scandinavian countries, the Czech Republic, had lower levels of poverty because they were more equal overall. RJ: In those countries that are more equal, social mobility is greater than in the more unequal ones. The Nordic countries have not only happier population; they have also experienced higher GDP growth across the years. High levels of social spending and redistribution are not counterproductive to economic progress. JL: They also have more flexible employment laws, which in other countries send chills down people’s spines, because they know that if they are out of work they will be supported in finding other work. They are not just left to accept whatever work comes along as a condition of receiving social support. As our Danish colleagues would say, it is a tripartite social contract between state, citizens and strong trade unions. You also feel that it is not just you, as an individual, supported in your relationship with the potentially oppressive state, it is also you, supported in your working life. These countries have very high levels of trade union membership, in contrast for example with France where the paid up trade union membership is close to 6%. We need trade unions and other organisations to rebalance the relationship of the citizens with the State. In 2008, I was author of a report on the active inclusion of those most excluded from the labour market. The three key things that Council agreed on were adequate income, strong public services and an active labour market. You need all three! And in some Member States there is a diminution of adequate income, a real cutback in public services while the active labour market tends to be more punitive. Even a number of jobs that are on offer by the public service do not meet basic labour standards. RJ: We are seeing an increasing number of people who are forced to work on temporary contracts or part time, because they have no other choice and opportunities of stable, full-time employment are scarcer and scarcer. JL: And that often compromises people’s access to social services and welfare benefits. Because the social security systems are not flexible for people who may want to do part-time, casual work… Many social security systems in Member States cannot cope with that. You lose a lot in terms of your social security status if you take part time or casual work. For my last question, I want to come back on both the evolutions of the Greens and of the Unions; of the Greens regarding social issues and of the Unions regarding green issues. In the last years it seems to me that big steps have been made in both directions. Am I completely wrong? JL: There is this much greater understanding that the sort of work that is more in tune with the environment is not a threat to employment. We’ve got past that. And the Green New Deal helped us a lot in this. However difficult it may be to find money to invest, there are ways we can do it which deals with issues like fuel poverty, which creates jobs and which is good for the environment. I think also that there is this growing feeling of “you don’t come out of a crisis by creating a new crisis”, that throwing more and more people into poverty is not a solution. There is also a growing recognition in some places on that and a lot of the discussions on ‘unfairness’; “it’s not ‘fair” can be in some ways a very selfish concept in the sense of ‘I haven’t got what you got and that’s really unfair’. But at least that debate about fairness begins to shake up some of the wider ideas. I think also that we are going to see a lot more developments in local resilience and in the social economy. “We don’t want to make massive profits, because look what bankers did to us with all those profits. But how do we meet people’s needs in a way that is more socially just?” Those are some of those seeds within it. And I would hope also that we wouldn’t forget our commitments on anti-discrimination, because it is difficult to get a job if you are young and if you are young and with a disability it is almost impossible. We should not forget that there are inequalities even within the inequalities. If we are to keep any of the EU 2020 strategy, I would like to keep the parts about social inclusion, the bits about a low-carbon economy and the bit about closing the geographical divide, because that is also a generational as well as a geographical issue. And a social class divide. RJ: Green issues are not only important for trade unions, they are essential. It is not a question of finding a new niche. There is a more rational reason behind this: to seek alliances with all the social organisations who fight for a fairer society. It is not only the fact that the Green approach is no longer perceived as a threat to employment. It goes much further: it is seen as a chance to speak about green jobs and the opportunities offered by the entire green sector. As Jean said, exit one crisis by creating a new one is not an option. We are in a historical moment where we need to find a new sustainable model or reinvent the social economy model that would allow us to exclude or significantly diminish the possibility of yet another crisis. Sociologist and thinker reinvents the institutions of the liberal global order. Fly through a 30-year rescue of social rights and the environment from the ravages of unbridled globalisation. A comic on European basic income and what it meant for one family among millions. This imagined news article describes a Europe where revenues recuperated from tax evasion and avoidance are invested back into wellbeing for the benefit of society and the environment.